Greetings to all, I am Igor Errazkin, Errazking and animated by a friend of Spectrum I will present a game to this competition based on the universe of Dr Who. Surrender Time will put us in the role of Dr and allow you to wander in a Dalek base in search of Davros. Saludos a todos, soy Igor Errazkin, Errazking y animado por un amigo de Spectrum voy a presentar un juego a esta competición basado en el universo del Dr Who. 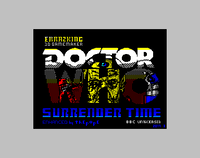 Surrender Time nos pondrá en el papel del Dr y os permitirá deambular en una base Dalek en busca de Davros. The game is being developed with 3D game maker and at the moment the design of sprites and stages is quite advanced. Coincidentally, this entry coincides with #InternationalDalekRemembranceDay, but it's just that, a coincidence. 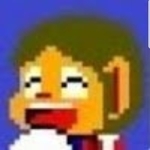 El juego esta siendo desarrollado con 3D game maker y de momento el diseño de sprites y escenarios está bastante avanzado. Casualmente esta entrada coincide con el #InternationalDalekRemembranceDay, pero es solo eso, una coincidencia. This could be really interesting. It's great that at this stage, still more games are being added. This contest is already a success, by the shear number of games being delivered. Welcome to the compo, Igor! I was on Holidays so I could not reply properly. Seems that this project is going to drag quite some interest and given your skills with 3D game Maker, we can expect a quite advanced game! How is the progress going? For sure the graphics will be top notch. Bienvenido a la ZX Dev, Igor! Estaba de vacaciones, así que no podía responder como quería. Parece que el proyecto por la temática va a suscitar bastante interés, y además, con tus habilidades en el 3D Game Maker, seguro que sale un juego bastante sofisticado y avanzado. ¿Cómo van los progresos? Los gráficos está claro que van a ser de alta calidad. A un día de que acabe el año el juego, o al menos su esquema principal, se encuentra terminado. Ahora falta la magia de su Santidad ThEp0pE y el juego estará presentable. One day after the end of the year the game, or at least its main scheme, is finished. Now the magic of His Holiness ThEp0pE is missing and the game will be presentable. El juego es fruto de un experimento que espero llegue a buen termino. Es un juego tipo laberinto donde debemos encontrar a Davros y destruirlo. The game is the result of an experiment that I hope will come to fruition. It's a maze-like game where we must find Davros and destroy him. Esperamos llegar a tiempo para la competición. We hope to arrive in time for the competition. Looking good in the visuals, Igor, and coming from you and Sergio, I am sure the game will have original details and will take the engine to the limit! El juego se situa en una hipotética aventura en la que Davros se ha apoderado de la Tardis y tiene al buen Dr atrapado en un bucle temporal del que solo podrá salir una vez acabe con él. 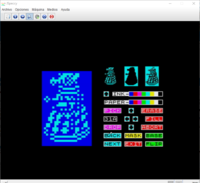 Este juego se situa en la decimonovena temporada de la serie y encarnamos al quinto doctor (Peter Davidson) por filiación a la decada de los ochenta que vio surgir el ZX Spectrum. En primera instancia el juego es más simple que los anteriores que he realizado con el 3D GameMaker pero responde a mi interes por crear un laberinto viable. Las aportaciones de thEp0pE han ampliado las posibilidades de este maker hasta cotas insospechadas. Tampoco puedo obviar las mejoras realizadas por Krt17 que están sirviendo para que este juego sea una evolución de los anteriores. The game is set in a hypothetical adventure in which Davros has seized the Tardis and has the good Dr caught in a temporary loop from which he can only exit once he's done with him. 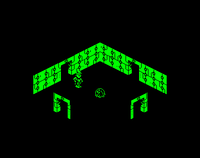 This game is located in the nineteenth season of the series and we played the fifth doctor (Peter Davidson) by affiliation to the eighties that saw the emergence of the ZX Spectrum. 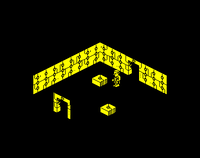 In the first instance the game is simpler than the previous ones that I made with 3D GameMaker but it responds to my interest in creating a viable maze. The contributions of thEp0pE have expanded the possibilities of this maker to unsuspected levels. Nor can I ignore the improvements made by Krt17 that are serving to make this game an evolution of the previous ones. Igor, Sergio! Has Dr Who been able to travel in time? Todo tiene su explicación, pero no hay excusas. Ahora puedes dejar de especular aquí tienes el juego terminado. Todo tiene su explicación pero sobran las excusas. Ya podéis dejar de especificar aquí tenéis el juego terminado. Congratulations for your game! 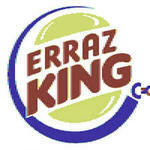 Erraz the 3Dmaker King! !